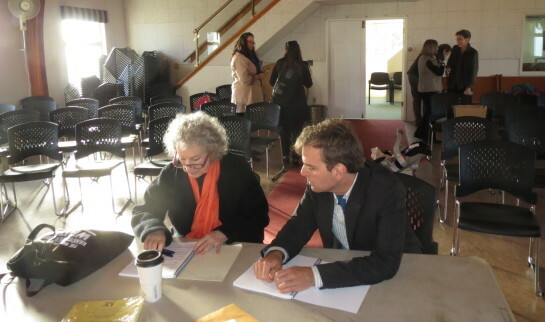 "Pauline, by Margaret Atwood and Tobin Stokes, will be given in concert performance for an international audience at Quebec City on Friday 16 October 2015," City Opera President Janet Lea announced today. This Festival is one of the largest in the world. "At the invitation of Festival Québec en toutes letters / Féstival litteraire, we have been asked to present the original cast, with orchestra, as part of their Festival this year. We are proud to do so," Lea added. In 2010, City Opera received the largest commissioning grant in Canadian history: $250,000 USD from the Annenberg Foundation and explore.org of Los Angeles. It was followed by another $100,000 to make a film of the project. 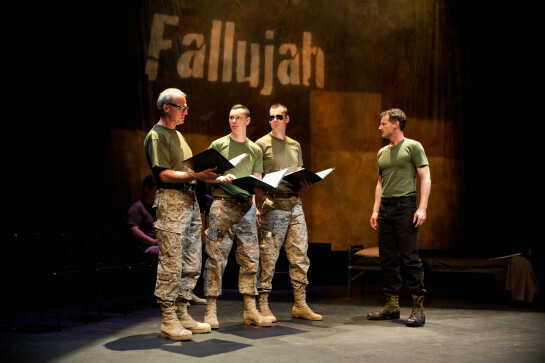 We created and gave the workshop premiere of Fallujah across the following two years. In March 2016 Long Beach Opera is producing Fallujah, by Tobin Stokes, Heather Raffo, and based on the life of Christian Ellis. We are proud to announce they are doing so. These are three that Mozart began but never finished. Two are Italian comedies, and the third a German romance. In just over a year, City Opera presents our reconstruction of these 'lost' fragments, now set in the 21st Century. The music is wondrous. We have created a short video with fanciful images, narrative, and actual 'lost' music presented in our upcoming first comedy. Thanks to engineer Jaap Hamburger at Orange Music Ltd, video editor Adam Abrams at Adam Abrams Design, and courtesy of Universal Music Canada and Classic Produktion Osnabrueck, you may now discover highlights from this wonderful music, linked and reconstructed by the new story we will tell. This Fall we are holding auditions for Lost Operas, and for the concerts and recitals we give throughout the year. 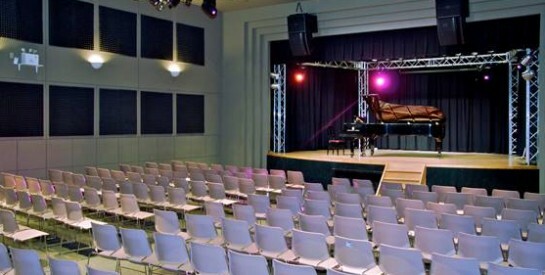 City Opera has been a Steinway Company since 2006, and has once again been granted use of the Tom Lee Music Hall. Many thanks! Set in the Downtown Eastside of Vancouver, Missing Women will tell a story everyone knows, from the vantage of a woman no one remembers. Its scenario is now in preparation. Missing Women will be a chamber piece, premiered here and designed to tour after. 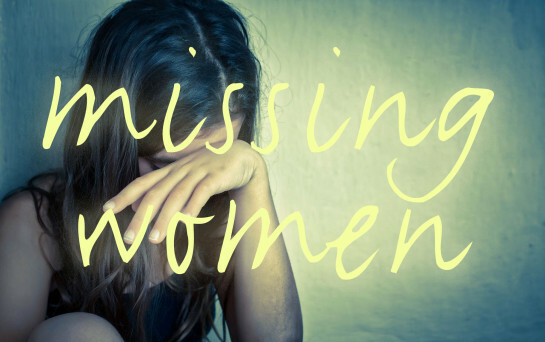 And Missing Women is a very important story. It is a set of truths that will confront stereotype, honour memory, and open a path to healing. 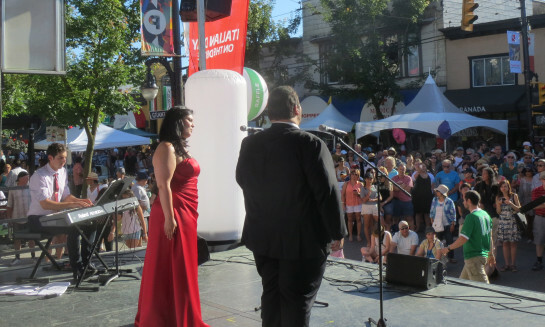 On Sunday 14 June, we again appeared at this annual feast of tutto Italiano. 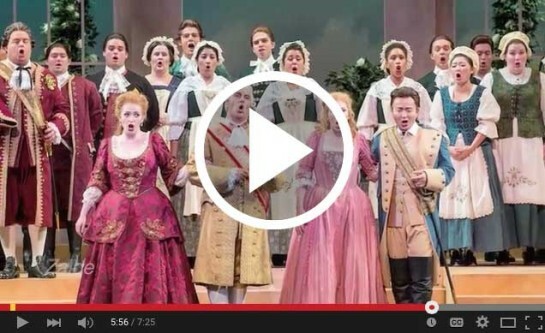 We presented soprano Shadan Saul Guerrero, tenor Sunny Shams, pianist Sean Bayntun, and narrator Tom Durrie in a review of great music from Italian opera. Across an hour, we were joined by a thousand people at this extremely popular festival. Grazie tutti! It was the 72nd concert we have given in the eight years of City Opera -- with 28 of them in the DTES alone. These events build our brand, widen our audience, and bring our music to people where they live. 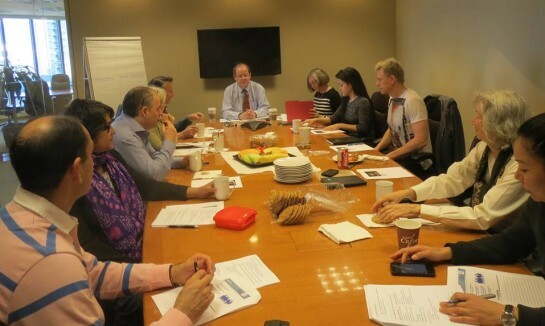 After four sessions for Board, staff, and volunteers led by Ian Alexander, and with the support of the BC Arts Council and the City of Vancouver, we have now concluded our first Strategic Plan. It will be finalized over the summer, and posted online in September. Our Strategic Plan builds on the success of work to date, documents and learns from our mistakes, and points toward the future of professional chamber opera in Vancouver. Ours is a repertoire-driven company, and our first Strategic Plan its roadmap. have a huge fundraising event coming up, and would like you to know about it. And to join them there. It's part of an ongoing series underwritten by Peter Wall. 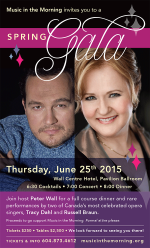 Hear Tracy Dahl and Russell Braun, Thursday 25 June, starting at 6:30pm. Wall Centre. All tickets $250.00, including cocktails, concert and dinner, and all proceeds to MITM - one of Vancouver's longest-running and most valuable series. More info here. By cheque: 'City Opera Vancouver', PO Box 88393, Vancouver BC V6A 4A6. Please feel to specify the project you would like to support, and we'll honour your wishes. Gratefully.